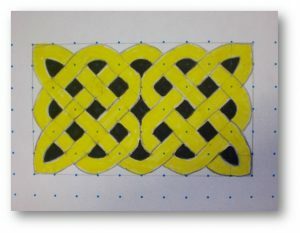 Learn how to draw your own Celtic Knots to create your own unique postcard using graphing paper and geometry. We will learn about Celtic Knots and celebrate Irish-American Heritage Month. This program does not require registration, so drop by between 5:00 pm and 6:30 pm while supplies last.